Premier commercial landscapes throughout the United States rely on LandCare for landscape design, installation, and management of their sites. 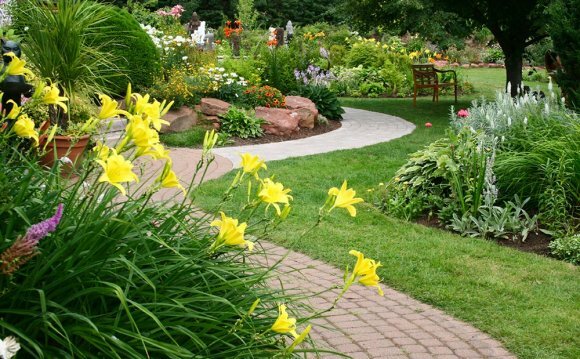 Our licensed landscape architects and designers are seasoned professionals with decades of experience in landscape contracting and design, bringing an uncommon perspective that works to your advantage. Enhancement recommendations are designed to fit your short and long term business and operations objectives, while improving the function and beauty of your site, so every dollar is visibly well spent. Our landscape designers are involved in more than just enhancement recommendations. Designers work with our field teams to help bring great results to you through “CustomCare”. CustomCare is the tool we use to coordinate our services with you. Annotated maps and aerial photos of your site are used to manage every area of landscape service, and this is shared with our office and field staff at all levels in real time. With CustomCare, your priorities and goals are evaluated regularly by our designers, and are consistently in focus for our managers, field crews and for your own internal uses. Save Time! Simple on-plan mark ups by you or our staff communicate information specific to your site and needs anytime, anywhere. Quick Response! Maps can be sent to and from the field easily with our smart phones, digital tablets, and laptops. Get Accurate Results! Maps and photos accurately locate and depict any service need or issue, ensuring a precise response by our managers and crews. Optimize Your Spending! CustomerCare audits by our designers have saved our clients thousands by identifying waste and neglected opportunities. Manage your budget with short and long term strategies, control costs, and free up funds for upgrades and special projects through innovative ideas our design team can recommend.